Add a Vintage touch to your wedding with our exclusive vintage wedding package. 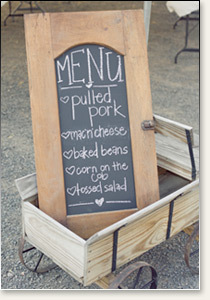 The Vintage Wedding Package fits perfect for a classic barn wedding, rustic wedding, or outdoor wedding. Please call our wedding planners at 612-332-7571 to learn more.